A delicious dinner of grilled salmon with salad mango for four people. Fat fish such as sardines, anchovies, mackerel, salmon, herring and small herring are very healthy food because they contain valuable fatty acids omega-3. Especially this is true for salmon. 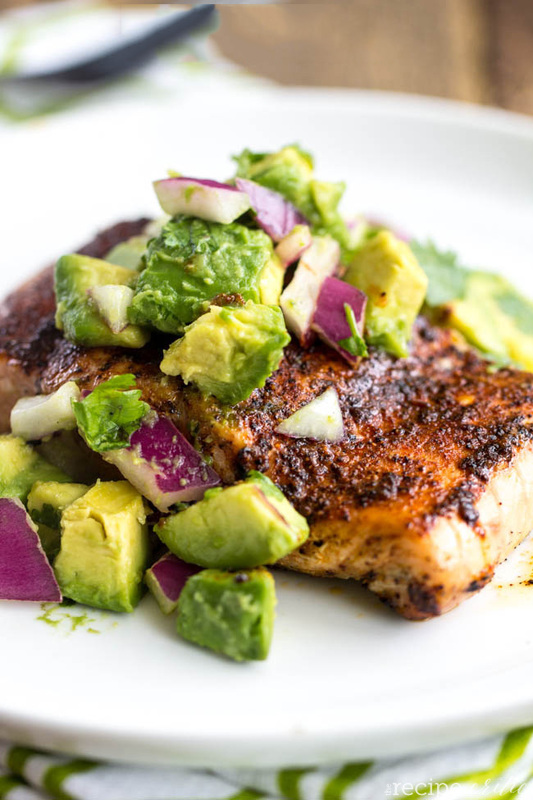 That’s why we offer a recipe for grilled salmon salad with mango. 1 Prepare the mango puree. Peel the mango, Halve and remove the stone, then cut it into small cubes and place them in a bowl. Peel, remove seeds and cut into small cubes and cucumber. Finally chop the green onions and retail. Add coriander, season with salt and pepper to taste. Stir well and let sandwiching paste to stand for 30 minutes. 2 When the salsa is seasoned and smells are mixed, pre-heat the grill or barbecue. 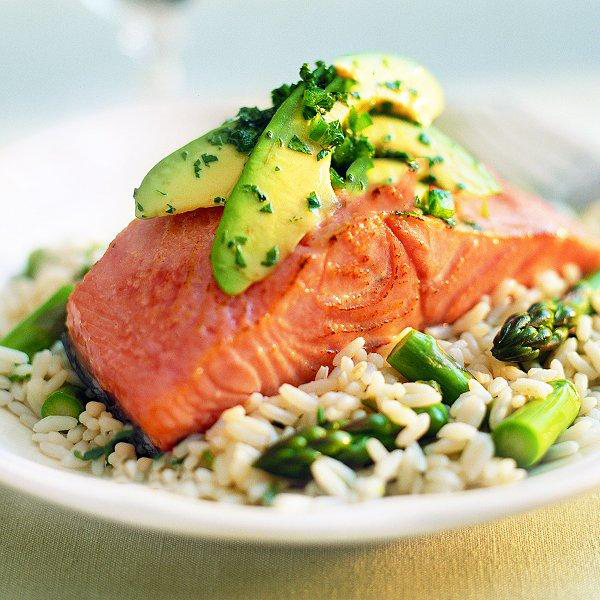 Place salmon steaks in a shallow baking pan on the grill, sprinkle them with wine and cook for about 6 minutes on each side until the meat is tender and begins to split into layers. If you prefer, you can bake fish on a barbecue or grill on medium heat. 3 Transfer the salmon to a serving dish, sprinkle the fish with a little crushed wholesale pepper, pour a little mango puree around each steak and serve the dish immediately, garnished with coriander leaves and lemon slices if desired.